The best source for antique bed mattresses. Why? you may ask and the reason is we can do almost anything with mattresses for antique frames such as cut corners from our natural mattress line to rounded corners in our modern lines. 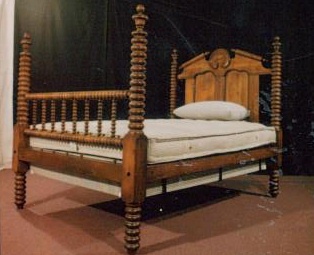 Our custom mattresses for antique bedsare made to fit antique bed sizes. 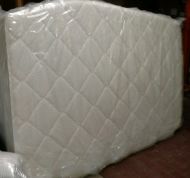 We can accommodate dealers as well as individuals in regards to antique bed mattresses. Antique bed mattresses for antique beds range from family heirlooms to extraordinary decor even though they are special odd size mattresses. Whether it be Queen Anne antique, Chippendale, Hepplewhite, Adam, Sheraton, Louis XV, Louis XVI,Victorian antique or any other type, We can accommodate any size antique bed mattress whether it be in the midst of twin size, full size, 3/4 size, queen size, or king size. The Antique twin mattress and antique daybed mattress most commonly as the antique horse hair mattress. Height restrictions will be accommodated for any size antique mattress. Four poster antique beds usually found in Early American or Victorian era’s occasionally require cut out corners on the antique bed custom made mattress or three quarter bed mattress which lies around the posts. Whether the cut out corners mattress or box spring are 3 1/2“ x 3 1/2” or 4 1/2” x 2 or any other size, we can adjust the antique size mattress as necessary. 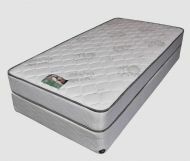 Benefits of cut corner mattresses is the extension of your sleeping surface. Who wouldn't want a longer bed know they did not have to have there feet hang off? We also manufacture Rabbed edge custom box springs for antique beds as described on the box springs page. Rabbed or Rabbit (used occasionally) box springs create a wider surface by resting on the side rails. Custom box springs accommodate the antique bed side rails which will hold securely on each rail. The antique bed box spring styles even come hand tied covered with antique type stripe ticking. Due to the various sizes which accommodate antique bed custom mattresses and custom box springs please call us for information.